Powerful and elegant performance cruising. A radical new yacht in the sailing world, the Sly 61 delivers the trademark high-tech features while ensuring owners outstanding handling and comfort in a Bluewater cruising. The Sly 61 sets itself apart with a new cockpit design, new sleek profile with a semi-raised saloon and uninterrupted deckhouse windows. This creates a stunning visual impact, especially from the inside that floods with light and a 360° view. 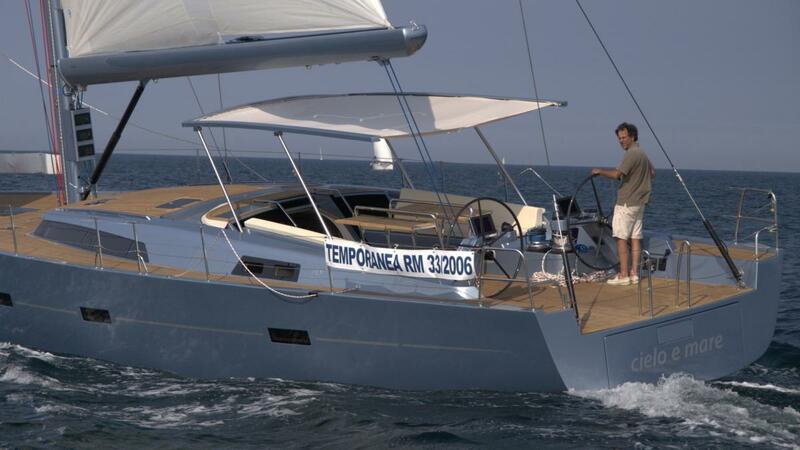 This is a seaworthy luxury cruiser for hassle free and enjoyable long-range sailing even with a reduced crew. 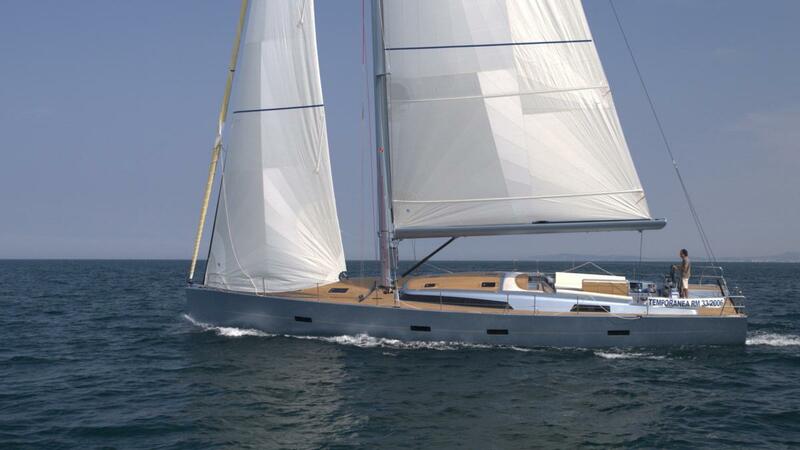 Its sleek lines are the result of a Sly Yachts project taken to the next level. Construction quality is high and the result is an excellent quality to price purchase ratio. The Sly 61’s tank capacity is worthy of a real Bluewater cruiser with a 1000 litres of fresh water, 1000 litres of diesel and a 1000 litres of grey water. The hull and deck are made using the vacuum process in recess-moulded sandwich with glass and carbon fibre surfacing and a PVC and epoxy resin core. 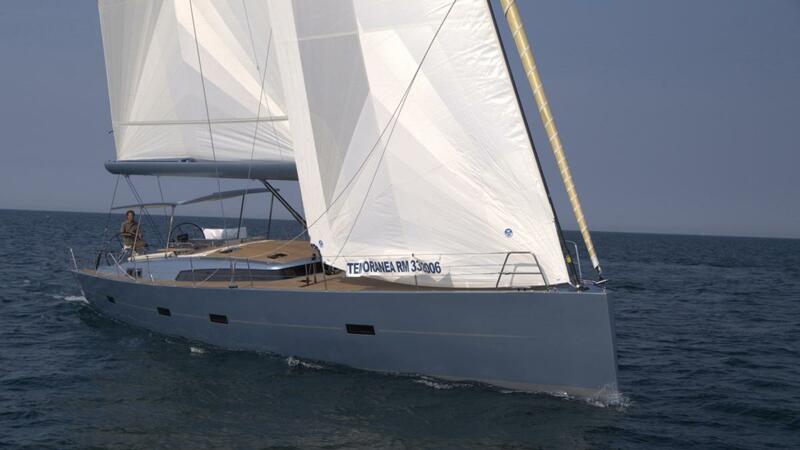 The reinforcement structure consists of a series of carbon frame floors and ribs bonded to a structural floor making it a solid yacht for sea passages. 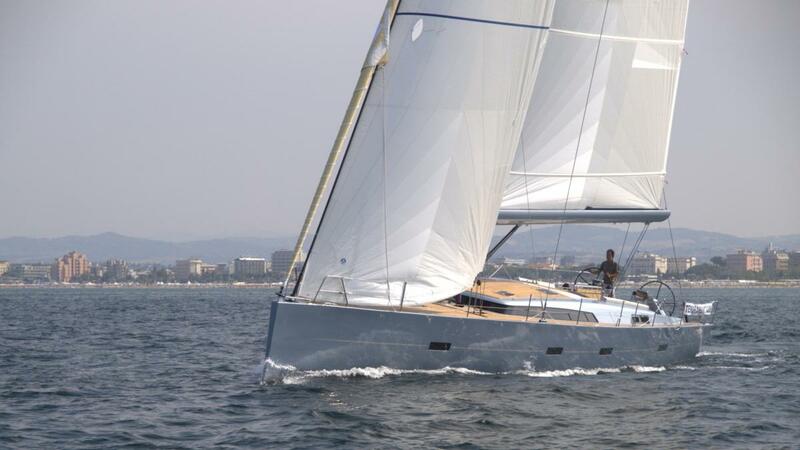 The Sly 61 is a modern and well-balanced sailboat, testimony that it is possible to achieve a coherent compromise between luxury and sportiness, elegance and simplicity. Dedicated to lovers of pure performance, the Sly 61’s objective was to soften the waterlines and create comfortable shapes - suitable for cruising while still packing a performance punch. Sly Yacht’s long-standing partnership with Nauta Design allows a myriad of personalization options for the interior from their sophisticated and efficient Milan based studio. The Sly range has produced some of the most spirited boats ever seen on the international fast cruiser circuit. It’s not just the way they sail that makes them exciting - it’s the whole package. Designed to inspire happiness, from the style to the attention to practicality and aesthetics, the 61 guarantees a pleasant sailing and sea experience as well being in front of the fleet. The Solimar double steering station is installed on custom columns that house the on-board instruments. Near the steering, within reach of the helm, are the electric winches for the halyards and sheets. They are all concealed to keep the guest cockpit uncluttered and free of lines. A central folding table acts as a handrail when closed and as a double table when open so the crew can move about freely. The Sly 61 vertical bow houses both the tack point of the self-tacking furling jib and the tack point for Code 0 and/or gennaker.? 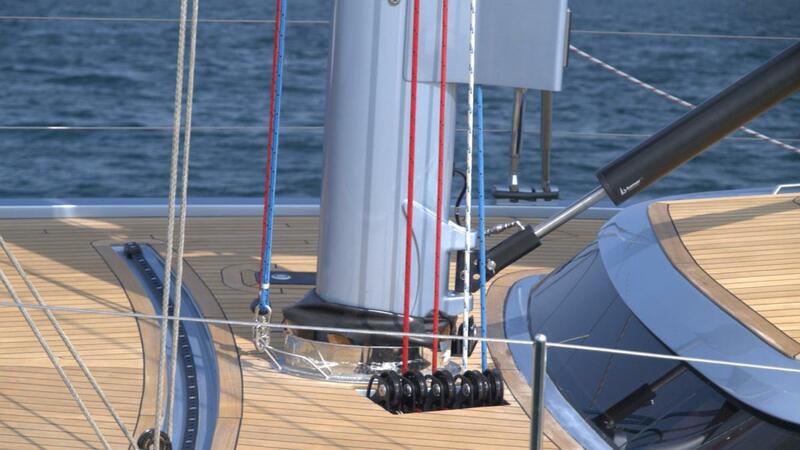 The bow is uncluttered thanks to the folding mechanism for stowing the anchor inside the chain locker. A concealed electric gangway can be installed in the transom. An exclusive yet simple electric system raises the Bimini top in just a couple of seconds to shade the cockpit. 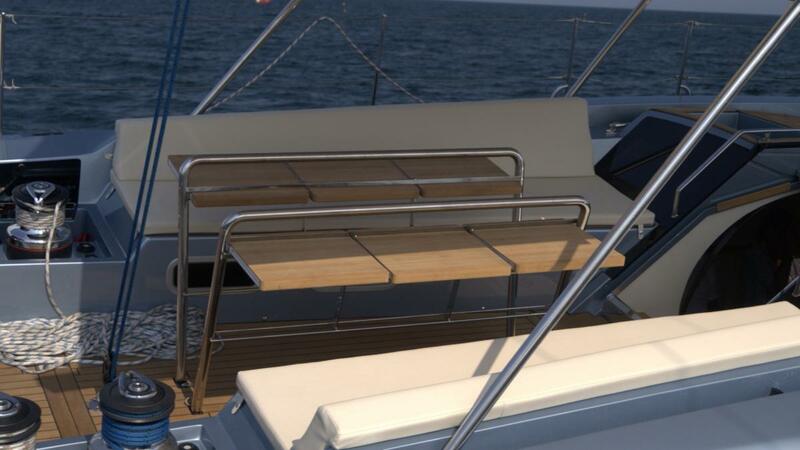 The Bimini top can be raised when sailing, something your guests will be forever grateful for. If you’re planning a sea passage, the Sly 61 will get you there comfortably and in a timely manner. Even your extended stays will be pleasant enough you’ll find excuses to not go home. The interior restyling is sophisticated to the max and can be customised to the owner’s wishes for the boating lifestyle they desire. The saloon conveys the perfect sensation of space and importance for a yacht of this size and offers comfortable areas for entertaining and relaxing. The galley is located in a completely separate area. The cooks on board will be pleased to prepare an elegant meal on an efficient and well-organized work space with electrical appliances. The chart table is arranged so it can accomplish several different functions. Adaptable into a real office, the owners and crew can perform the various tasks dictated by the pace of modern-day life. The master cabin is easily identifiable by its size and overall appearance - light and airy, an innovative bed easily accessible from both sides and a stylish design. The twin guest cabins are spacious and each has its own private bathroom. Aft is a dedicated cabin for 2 crewmembers. Entering the saloon of the Sly 61 makes a huge impact. The use of light natural colours and the uninterrupted glazing in the deckhouse create a cocoon feeling. The semi-raised saloon affords 360° views as you move from the lounge area to the dining area.